After the close of Bona Clara I have found it hard to find a line of products I like and actually WANT to put on my face. After spending SO much time with a skin expert you become very aware of what is in your products. I was introduced to Beauty Counter and had to dive in!! I still have a few things from Bona Clara so I started with my body when testing Beauty Counter. I love that their mission is about so much more than skin care – its about making people aware of what is in their products and forcing the US to pay more attention. Lustro Oil: all over hydration – has a light sent of citrus – the box suggests using it all over after the shower or adding a few drops to their moisturizer called “Hydrate”. Hydrate: every day body lotion – same citrus sent with a bit of mint – not only is this a hydrating mixture but it has Mongongo oil and Ximenia Americana seed which both encourage rejuvenation. I like mixing the two together for a super hydrated and fresh smelling body lotion! This entry was posted in Brands I love, Home, Products and tagged beauty counter, products, safe. As part of the skin care industry I am always intrigued by new brands, this weekend I hosted a Beauty Counter Social at my apartment. We were so lucky to have the FIRST consultant ever to tell us all about the brand and what they stand for. She is a 42 year old mom of 3 – look how beautiful she is!! 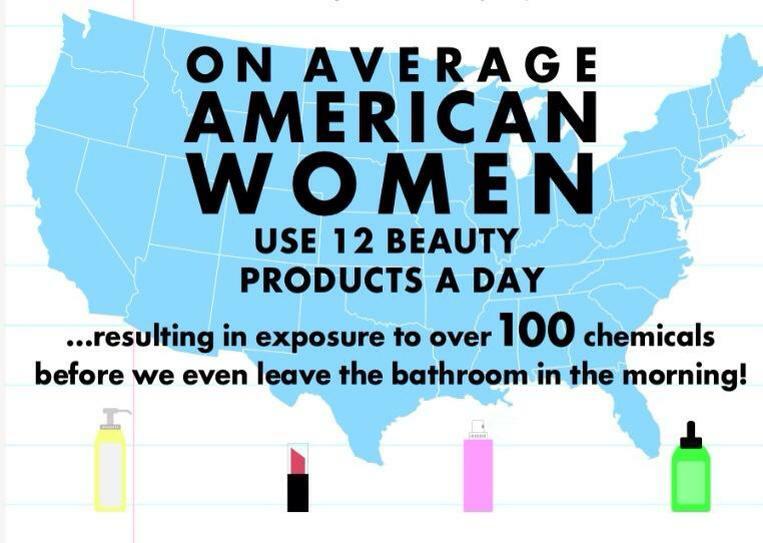 the US hasn’t passed a federal law regulating ingredients used in personal care products since 1938. Some companies have an ingredient list completely different for the products they distribute in the US vs Europe, its so crazy to think about. Beauty Counters mission is to get safe products into the hands of everyone, to really “know everything”, to know what is in the food you put in your mouth and the products you put on your largest organ, your skin and how it effects your health. She explained its the repetitive use, not the one time exposure that are most harmful to our bodies. Stephanie even gave everyone a “never list” so that we can use it to look at products we already use on a daily basis. The folks over at Vogue can’t even get enough of them! I placed an order for a bunch of stuff I can’t wait to share what I think!! My party is still open for anyone who wants to try with me! The link is https://smarterbeauty.beautycounter.com/Home just click on my name on the top left column and you can order as part of my party!! This entry was posted in Brands I love, Products and tagged beauty counter, know everything, safer producs, skincare.